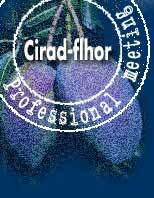 The second CIRAD-FLHOR Professional Meeting devoted to 'Fruit conservation and processing: new issues and new techniques' was a great success, attended by over 100 representatives of the sector who were extremely attentive to the talks and to the main conclusions that emerged from them. Particular stress was laid on the increasingly important role awarded to fruit and vegetables as the basis of a healthy, balanced diet. This has been shown by various studies like SU.VI.MAX and by the setting up of the National Nutrition and Health Programme (Programme National Nutrition Santé). Tropical fruits and vegetables are of particular interest and the tropics hold resources that are still little known or not fully used. The maintaining of their beneficial features (nutritional, functional, aromatic, etc.) during conservation and processing operations (modified atmospheres, membrane techniques) was highlighted. The strengthening of research in this direction is a very strong issue at CIRAD as requirements concern not only the north but also southern countries, where fruits and vegetables still play a clearly inadequate role in food security. Furthermore, better mastery of production, conservation and processing procedures will generate added value and hence contribute to fighting poverty. The day of talks very clearly showed that agrifood technology must have the right place in a markedly integrated sector approach, in which each link in the chain is strongly dependent on the next in terms of the elaboration and conservation of quality. It must no longer be disconnected from the rest, and in particular from production, as has often been the case. Quality is elaborated from field to fork. identifying research topics and establishing dialogue between scientists and the users of research, with the latter being increasingly our research partners. These days of meetings form an excellent moment but are too short and too rare. Other opportunities should therefore be created.